So far, the heating process, integrated with the design of the distributor and forehearths, is fundamental to provide good conditioning of the gob and to keep the characteristics of the glass as foreseen. FALORNI TECH has developed its combustion systems taking into account the necessity to have simple solutions but flexible and reliable. Depending on availability, our combustion systems can be fed by NG or LPG. They are entirely designed in compliance with updated engineering standards and they are integrated with the design of channel under structure and superstructure in order to guarantee the expected range of pull thus granting the best temperature stability under pull fluctuations. Each combustion skid is manufactured as a stand-alone unit made in compliance with EU safety rules in force. 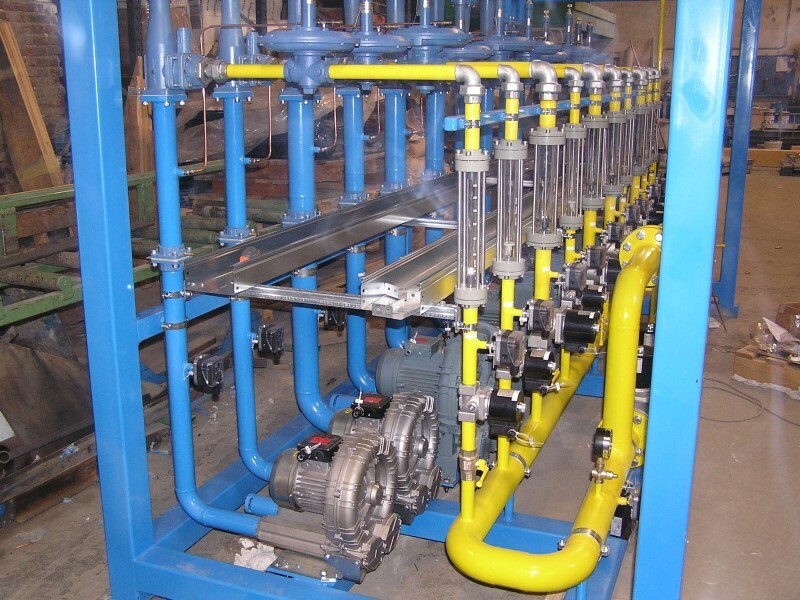 All skids are fully piped-up and wired and are subject to accurate cold test in our factory before being shipped. This procedure guarantees the suitable performances and the compliance with quality and operating requirements. 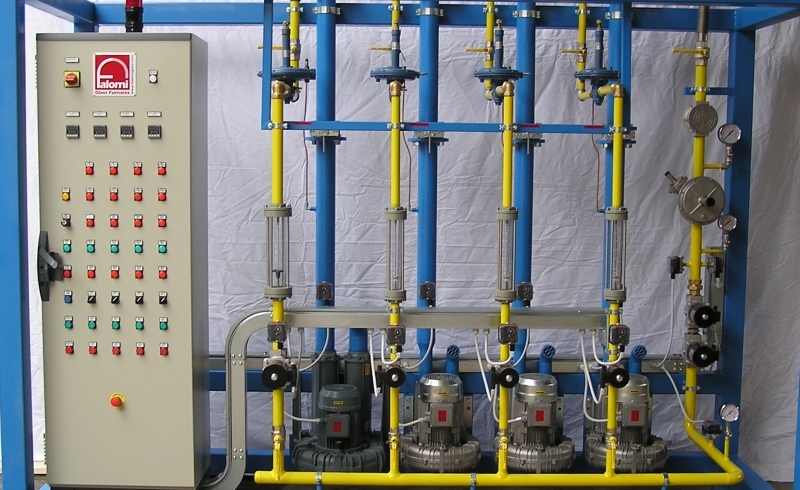 Each distributor or forehearth zone is controlled in temperature by a suitable gas/air system able to provide the combustion mix maintaining the required air/fuel ratio at any load.